Know Your Home's Value Before You Sell! What is a pre-listing appraisal? A pre-listing appraisal is just what it sounds like: an appraisal you order independently of your bank before you list your house for sale. While this doesn’t mean that you must list the home for the value indicated on the appraisal, it is a good reference point of market value and more importantly, will help you list your house at a price that will both maximize profit and minimize the days your house sits on the market. We strongly recommend using a pre-listing appraisal as a tool in conjunction with a local and knowledgeable broker who will help you navigate the selling process. I am a Homeowner Working With a Realtor. Should I Still Get a Pre-Listing Appraisal? While you may get a CMA (comparative market analysis) from your realtor, realtors and appraisers have different methods of arriving at value. CMAs provided by realtors do not cover the scope that a home appraisal entails. ​An appraisal can use up to 3 approaches to arrive at a value of opinion. CMA's use a limited market data approach. An appraisal makes detailed analysis of adjustments. An appraisal gives a specific value. CMA's give a range of values. Our pre-listing appraisals are within 5% (or less) of the final sale price 95% of the time. Zillow Zestimates® in Cumberland County are within 5% of the final sale price only 54% of the time. In York county Zestimates® are within 5% of the sale price 57% of the time. ​Because appraisers have no invested financial interest in your sale, you can trust us for an unbiased, professional opinion based on market reaction. Many times people don’t get a pre-listing appraisal because they are afraid it will come in lower than they want. Home listings that start out way overpriced can languish unsold and end up selling for less than if they were priced more accurately when they first hit the market and buyer interest was by far the highest. Starting high and lowering the price in stages is a risky way to see what the market is willing to pay for your home. A pre-listing appraisal will provide you the insight of what the market is willing to pay, before you list it. Are There Other Benefits To A Pre-Listing Appraisal? 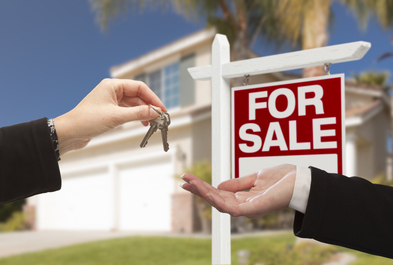 This report shows the buyer you are serious and informed. It also gives the buyer confidence your that price is justified based on what the market dictates. The appraisal can be used as a negotiating tool in the transaction, and make you aware of any last minute repairs you could make to increase the marketability of your home. Why Should Real Estate Brokers Consider Pre-Listing Appraisals? Learn more about the appraisal process and ways to add real value to your property.